The mystery over missing Saudi journalist Jamal Khashoggi has been riddled with misreported news, dubious sources and orchestrated media campaigns. But three key figures have been the face of this, exaggerating and embellishing the story with fake news to spark panic and place blame on Saudi authorities. Suspicions surrounding Khashoggi’s self-claimed fiancée Hatice Cengiz first arose following a background check that showed her connections to Qatar, the country with state-sponsored media outlets that had been adamantly accusing Saudi authorities of murdering Khashoggi. Cengiz’s Twitter feed reveals that she follows and endorses people who are critics of Saudi Arabia, organizations known to enjoy Qatari funding, Muslim Brotherhood members and Turkey’s ruling party. She has even openly tweeted that she opposes Saudi policies. While she claims to be Khashoggi’s fiancée, his family has denied ever hearing or knowing about her. The second person is Turan Kışlakçı, who pushes himself at the media as “an eyewitness” to the mystery. Despite being former employee of a prominent mews agency in Turkey, and identifying himself as journalist, Turan became more of an activist. He camped outside the Saudi consulate in Istanbul since Khashoggi’s disappearance and lead protests against Saudi authorities. He had claimed that 15 Saudi security personnel killed Khashoggi. But that news was later debunked by Turkish officials as the team of Saudis was actually investigators who arrived after Khashoggi’s disappearance in agreement with Turkish authorities. Kışlakçı also serves as an official at the Youth Thought Forum in Istanbul, which is against Egypt, Saudi Arabia and the UAE. Another figure who played a key role in the misreporting of Khashoggi’s disappearance was Al Jazeera correspondent Jamal Elshayyal. Elshayyal appeared in a video in London during Saudi Crown Prince Mohammed bin Salman’s visit. He shouted questions at him when he got out of the car, and was ignored. He has also appeared in images making the Brotherhood’s ‘rabiaa’ hand sign. Elshayyal’s brother is the director of a Qatari-funded news website al-Araby al-Jadeed, which is supervised by the Muslim Brotherhood in Doha and in London and is run by Palestinian politician, Azmi Bishara, the advisor to the Emir of Qatar. Their father is a leading Brotherhood figure who works for the Emir. 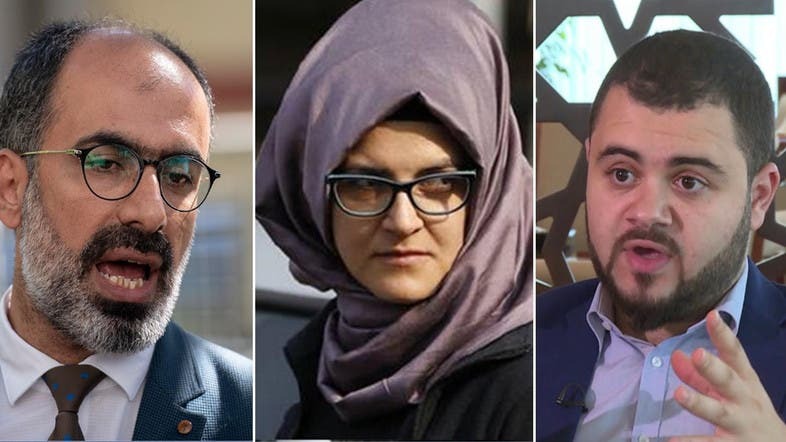 Read this story to find out how these three people reported on Khashoggi’s “killing,” his “funeral” and several other discrepancies.